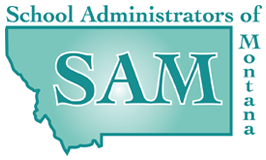 MAEMSP is the state affiliate for the national organization, the National Association of Elementary School Principals (NAESP). MAEMSP works to recruit, mentor and maintain aspiring, practicing, and retired administrators. The organization also works to promote and facilitate quality professional development as well as maintaining recognition as an authority in children’s educational issues and continues to be an actively involved state and national voice. MAEMSP builds positive relationships with the entire learning community, including not just students, but parents, school personnel, communities, and businesses. NAESP believes the child is the focal point of the educational program and that education in society must assist each child to realize his or her potential as a functioning and contributing member of that society. The Association believes that each child should have an equal opportunity to attain self-realization. The National Association of Elementary School Principals further believes that the elementary and middle-level school is the foundation of all educational efforts on behalf of the child, and that the primary responsibility for the development of an effective program in each elementary and middle-level school is vested in the principal. The Mission of the MAEMSP is to strengthen student achievement by building and engaging a trusting and involved community. Crista Anderson - 2018 NAESP Conference Incentive Award Winner Experience "Through My Eyes"